How Are Woven Clothing Labels Made? Look around your wardrobe. Almost all garments you own have woven labels or some other kind of label. The labels tell you everything you need to know about that product, and even more. 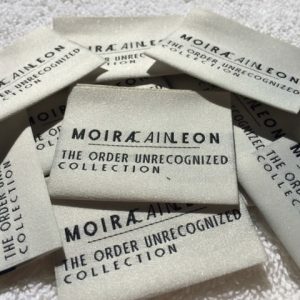 If you were looking for tips on how to make a woven label or you were just curious how woven clothing labels are made, here is a short article for you not to wonder any more. Woven fabric label is a textile formed by weaving together warp and weft threads vertically and horizontally. First thing first, before the woven labels are printed and attached to the clothes, the material (warp and weft threads) from which they are made must be prepared. This step entails weaving the fabric, which is made on a loom, out of many threads woven on a warp and a weft. Sometimes woven labels are attached to the clothes with adhesive that is either very light so that the label can be easily peeled off, or very strong so that the label is affixed to the product permanently. However, 90% of woven labels are sewn on with thread, and some of them are tied to the garment with string, plastic or just attached by some other means. 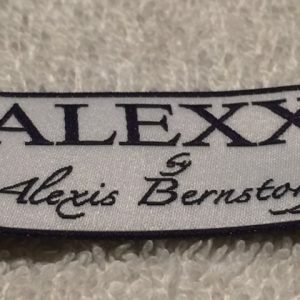 Personalized woven clothing labels to promote quality and luxury for any of your items are available at your disposal. We offer custom clothing labels to your own specifications including logos, styles, and colours of your choice. Perfect-Labels-Lanyards is recognised as one of the UK-based leaders in the design, manufacture and supply of woven fabric labels. We offer a wide variety of woven labels qualities and materials. Very low minimum requirement and free UK delivery. 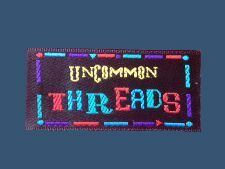 Give your clothes more of fashionable stylish functionality with the woven fabric labels made from Perfect-Labels-Lanyards. Contact us today, our contact details are here and send your design artwork for a quote.